2017 has been a busy year for paleontologists and dinosaur aficionados worldwide. They found some new species, invalidated some old ones, and even resurrected a forgotten species from the dead. They learned new things about dinosaur behavior and patched a few holes in our understanding of the evolution of these animals. The year wasn’t free from controversy, however. Some of the new ideas put forward are still in their infancy stages and far from receiving universal acceptance. This is especially the case when some of them try to rewrite parts of history that were considered established. A new study aims to change the public perception of the fearsome Tyrannosaurus rex. Scientists from Carthage College in Wisconsin and Louisiana State University paint a new image of T. rex as a sensitive lover who engaged in gentle face rubbing as part of precopulatory play. Their conclusion is based on the discovery made in Montana of a new type of tyrannosaur called Daspletosaurus horneri (“Horner’s frightful lizard”). This animal, which predated the T. rex by 74 million years, provided vital clues to the anatomy of this dinosaur genus. Several well-preserved skulls suggested that Daspletosaurus horneri, as well as all other tyrannosaurs, had a mask of armor-like scales around the snout and jaws which was penetrated by numerous small nerve openings called foramina. These nerve openings made the dinosaurs’ snouts as sensitive to touch as human fingertips. Tyrannosaurs would have used their tactile muzzle to explore their surroundings. At the same time, scientists behind the study believe that the dinosaurs would have also rubbed their snouts together as part of their mating ritual. Their sensory web was derived from the trigeminal nerve which today plays an important role for sensation in many vertebrates, including crocodiles and alligators. In the late 18th century, European naturalists discovered the platypus in Australia and began sending sketches, descriptions, and even stuffed specimens back to Europe. However, the animal was so bizarre that many people dismissed it as a hoax. A similar thing happened in 2017 with a new species of dinosaur which boasted the exceedingly rare trait of living on both land and water. The animal was closely related to the Velociraptor and lived around 75 million years ago. 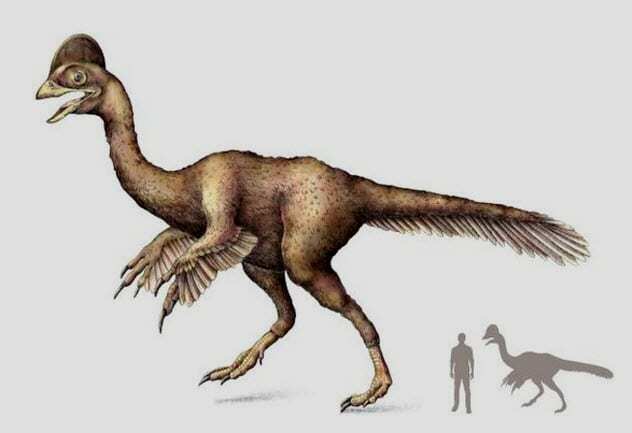 Its name was Halszkaraptor escuilliei, named after paleontologist Halszka Osmolska and fossil collector Francois Escuillie. The dinosaur’s physical characteristics were weird. It was about the size of a mallard, had razor-sharp claws, a duck-billed snout, and a long swanlike neck. Although it could run on land, it displayed many traits typical of amphibious creatures that are found today in modern birds and reptiles. Despite its appearance and lifestyle, Halszkaraptor escuilliei was not a distant ancestor of birds. Paleontologists who presented the animal are confident that it will lead to the birth of a new subfamily. The story of the fossil is equally curious. It was unearthed in a part of Mongolia called Ukhaa Tolgod and sold on the black market. It spent an undetermined number of years in private collections until it reached Francois Escuillie. The sketchy provenance alongside the sheer weirdness of the animal convinced paleontologists that they had a hoax on their hands. They used a particle accelerator called a synchrotron to scan the rock-embedded fossil and make sure that all remains were from the same creature. There are several examples in nature of animals that undergo significant physical or lifestyle changes when they reach adulthood. However, one dinosaur underwent a radical transformation as it aged that is a first for any reptile, extant or extinct. It went from carnivore to vegetarian. Limusaurus was a small, bipedal dinosaur that lived around 160 million years ago. According to a study by the Institute of Vertebrate Paleontology and Paleoanthropology in Beijing, Limusaurus lost its teeth as it advanced in age and switched to an herbivorous diet in adulthood. The Chinese team had access to 19 specimens spanning six different age groups. Limusaurus was born with dozens of teeth measuring roughly 1 centimeter (0.4 in) each. Yearlings already began losing some of their teeth. By the time they became adults, they had no more teeth. Moreover, the animal experienced at least 77 other anatomical changes over its life span, such as shifts in the shape and proportions of its skull. The upper jawbone started to curve downward so that it began to resemble and function as a beak. Scientists believe that Limusaurus underwent this transformation so that adults would avoid competing with juveniles for food. Fossils indicate that mature specimens also swallowed stones to aid digestion like birds do with gizzard stones today. One of North America’s most common species of dinosaur is no more. New evidence suggests that specimens previously identified as Troodon formosus belong to at least two species assigned to different genera. Originally discovered over 160 years ago in Montana, Troodon formosus was subsequently found from Mexico all the way to Alaska, accounting for most recovered specimens from the Troodontidae family. However, new research by the University of Alberta suggests that this was a case of misidentification. 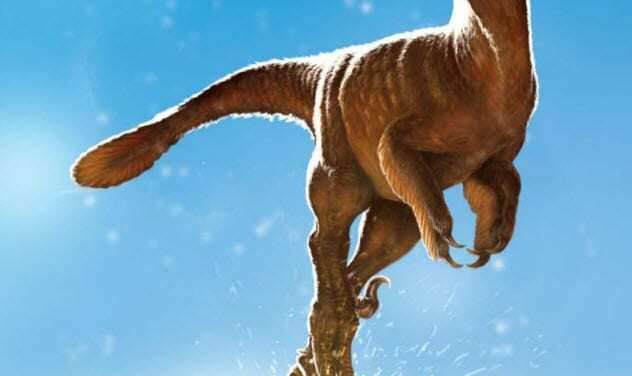 The new revelation came after graduate student Aaron van der Reest found an intact troodontid pelvis in Alberta’s Dinosaur Provincial Park which had striking differences from other fossils. Subsequent comparisons dismissed Troodon formosus as a valid classification. 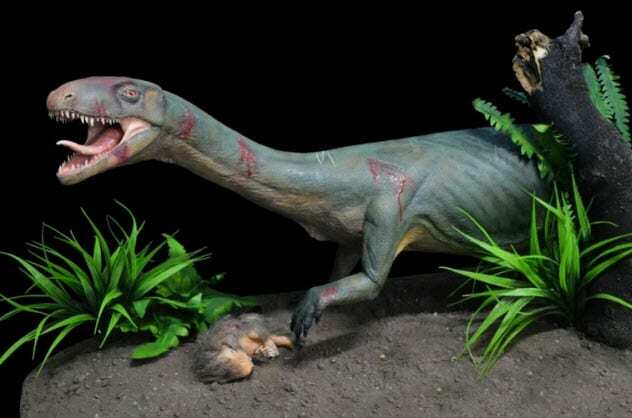 It was replaced by Stenonychosaurus inequalis, a resurrected species which was itself reassigned as Troodon three decades ago, and Latenivenatrix mcmasterae, a completely new species. The discovery has significant consequences for the paleontological community. So far, the two newly classified species were based just on several specimens recovered from Alberta’s dinosaur park. Given that fossils found all over North America were previously identified as Troodon formosus, this opens the door for numerous new species to be discovered. The title of “biggest dinosaur” is highly coveted and hotly debated as size remains one of the main interesting aspects of dinosaurs to the general public. Since precise measurements are difficult, if not impossible, given the scarcity of such fossils, a new contender seems to appear every few years. It happened in 2015 with Dreadnoughtus, and it’s happened again in 2017. The new challenger is called Patagotitan mayorum and, as the name suggests, was found in the Patagonian region of Argentina. Like most gigantic dinosaurs, it was part of a group of long-necked sauropods called titanosaurs. The fossils were found in 2012 and belong to six different individuals. They were dated to approximately 100 million years ago. 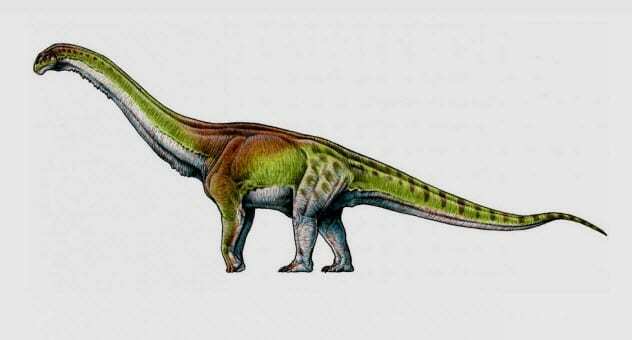 Patagotitan was estimated to weigh 69 metric tons and measure 37 meters (122 ft) long and 6 meters (20 ft) high. While this certainly places it among the biggest dinosaurs in history, it is still a bone of contention if Patagotitan was the largest of all. Crucially, as pointed out by paleontologist Kristi Curry Rodgers, Patagotitan’s bones show signs of unfinished growth which could mean that there are even bigger specimens out there. Even with all the resources we dedicate to studying dinosaurs, their reproduction strategies remain, by and large, a mystery. However, a new study coming from a Franco-Chinese collaboration indicates that certain dinosaurs incubated their eggs by laying on them like modern birds. 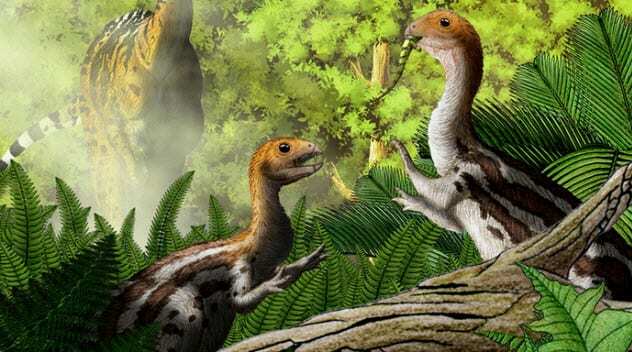 The animals in question are called oviraptorosaurs, a group of feathered maniraptoran dinosaurs which includes the so-called “chicken from hell.” Their name translates to “egg thief lizards” because some of the first fossils were found stretched across nests and scientists assumed they were killed trying to steal other animals’ eggs. However, since then, some paleontologists have speculated that the oviraptorosaurs were, in fact, incubating their own eggs. This new research supports that assertion. 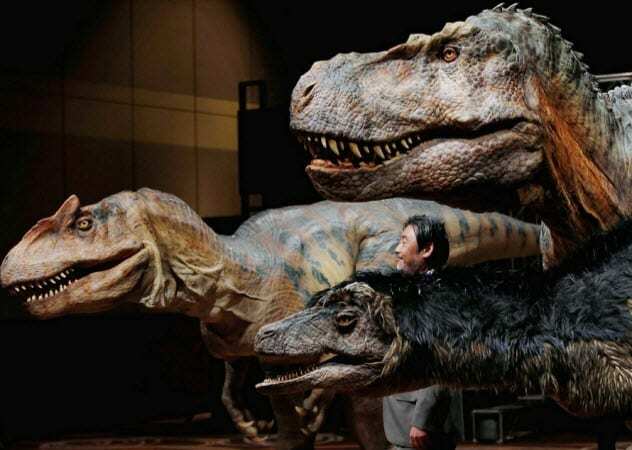 The Franco-Chinese team developed a new method of determining the temperature used by these dinosaurs for incubation. They accomplished this by analyzing 70-million-year-old fossilized eggs that still contained embryos and determining their oxygen isotope composition. During the development of the skeleton, oxygen was transferred from the egg fluid to the embryo and the isotopic abundance showed researchers that the eggs were incubated at a temperature ranging between 35–40 degrees Celsius (95–104 °F). This is in line with modern birds. More than the results, the newly developed technique could prove to be the true scientific gain as it can be used to ascertain the incubation methods of other dinosaurs. Obviously, giant dinosaurs could not have sat on their eggs without crushing them, but they could have used external heat sources. By far, the most infamous extinction event in the history of our planet was the one at the end of the Cretaceous Period 66 million years ago. It wiped out the dinosaurs as well as three-quarters of all other plant and animal species on Earth. Although there are alternate hypotheses, most scientists agree that this mass extinction was caused by a giant asteroid or comet that crashed on Mexico’s Yucatan Peninsula near Chicxulub. A new study from Tohoku University in Japan claims that history could have been extremely different if that rock had landed almost anywhere else on the planet. 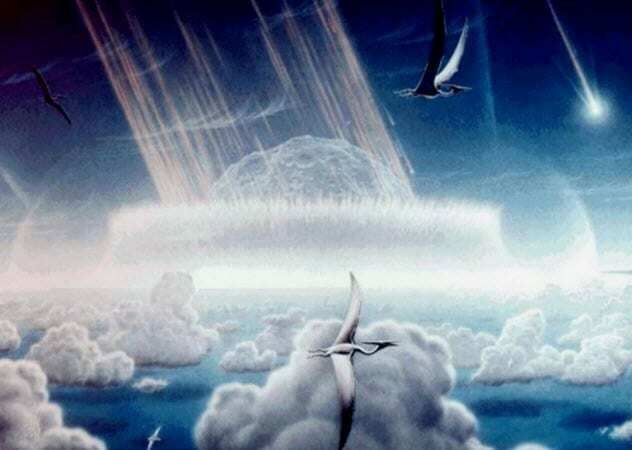 When the asteroid known as the Chicxulub Impactor hit the Earth, it flung huge amounts of soot into the atmosphere. In turn, this triggered a number of climate events that had disastrous effects on almost all forms of life. However, there was only a 13 percent chance that the catastrophe would have such widespread repercussions. According to Japanese scientists, only 13 percent of the Earth’s surface contains enough hydrocarbons to generate the soot required for the Cretaceous-Paleogene extinction event. Crashing anywhere else would have caused fewer extinctions, and the course of history would have been severely altered. Dinosaurs could have never gone extinct, and mammals could have never evolved to become the dominant animals. Ever since its first discovery 150 years ago, Archaeopteryx has been considered one of the most significant dinosaurs ever uncovered. It is a transitional fossil, a species that features traits common both to its descendant and an ancestral group, more popularly known as a missing link. Over the decades, only 12 specimens of Archaeopteryx were recovered, but one 2017 study claims that one of them is actually a completely new species. The example in question was described during the 1970s and referred to as the “Haarlem specimen” since it was kept at the Teylers Museum in the Netherlands. It was fairly incomplete compared to other fossils and poorly preserved. 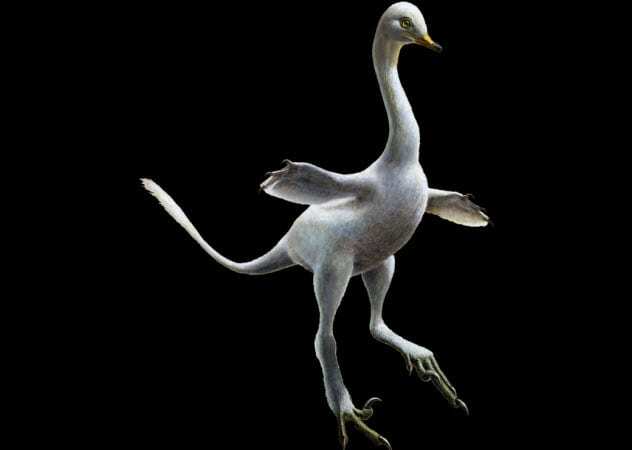 Even with these drawbacks, a new examination found enough evidence to distinguish it from Archaeopteryx. Several bone proportions were off, and there were furrows on both sides of the phalanges. These characteristics were more reminiscent of anchiornithids like Anchiornis and Eosinopteryx. At the same time, there were still enough differences to classify the Haarlem specimen as a new species—Ostromia crassipes. 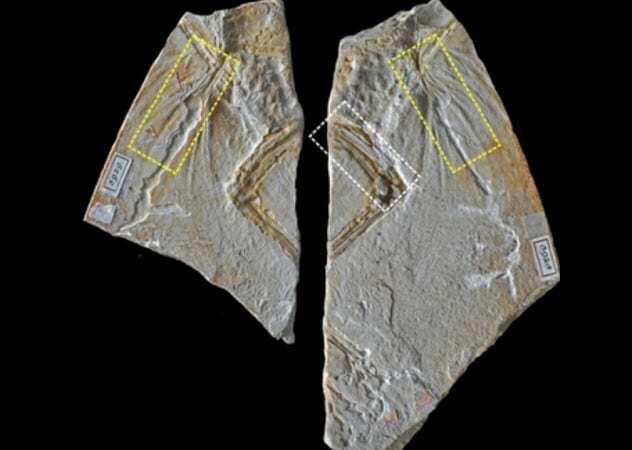 More significantly, Ostromia was located well outside the geographical delimitations of all other anchiornithids, which were all found inside a particular Jurassic-era formation in China. The authors of the study suggest that the wide dispersal of this genus was achieved by flying. If true, this could certainly alter our understanding of the origin of flight in animals. Although the animal known as Teleocrater was discovered in 1933, it wasn’t until 2017 that it was officially described in an academic journal by paleontologist Sterling Nesbitt. For most of that time, the fossil was under the supervision of British scientist Alan Charig, who named it Teleocrater rhadinus in his 1956 doctoral dissertation but never published any papers about it. According to Nesbitt, Charig allowed only a small number of people to see the fossil, prompting speculations that he wasn’t sure exactly what Teleocrater was. In 2015, Nesbitt’s team uncovered three more specimens of Teleocrater and finally gave it an official description two years later. Physically, there was nothing unusual about Teleocrater. It was a meat-eater with sharp teeth, about 2 meters (6 ft) long, and similar in appearance to a monitor lizard. However, the animal has provided us with vital clues about the early evolution of dinosaurs. At the start of the Triassic when reptiles became dominant, the ancient group known as Archosaurs split into two major lineages: Pseudosuchia and Avemetatarsalia. Our knowledge of the fossil record from that crucial period is almost nonexistent. While Teleocrater was definitely part of the avemetatarsalian lineage, it is believed that the creature was around shortly after the split. While not a direct ancestor of dinosaurs, it is their oldest-known cousin. More importantly, it has distinct crocodilian features as opposed to the previously earliest-known avemetatarsalians, such as Lagerpeton, which were small, bipedal runners. Teleocrater shows that avemetatarsalians evolved their birdlike features over a much longer period of time than previously thought. Paleontologists believe that the continued study of this animal will rewrite the early history of dinosaurs. 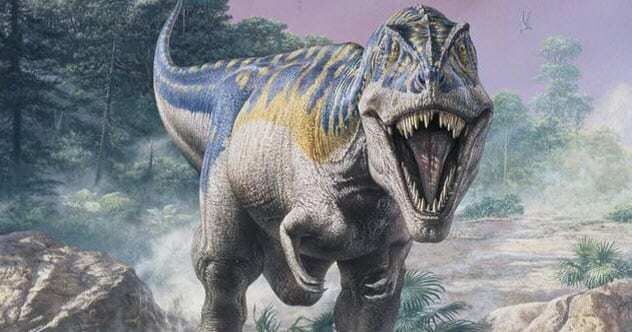 As much as the study of Teleocrater could impact the evolutionary history of dinosaurs, a new model from the University of Cambridge wants to go much further by replacing Ornithischia and Saurischia, the two basic groups of dinosaurs. Proponents argue that the current model is outdated as it was developed almost 130 years ago by paleontologist Harry Seeley. It focused mostly on the shape of the hips and relied on the limited number of fossils available at the time. The new model used computer simulations to examine 450 characteristics spread across 75 different types of dinosaurs and grouped the species together based on similar traits. This created tens of thousands of potential new family trees, and the finished result combined the 80 most likely scenarios. Under this new model, numerous groups of dinosaurs which were previously considered closely related were placed on completely different branches of the family tree. Furthermore, lead author Matt Baron’s own research pushes back the generally accepted appearance of dinosaurs by 10 million years and into the northern hemisphere. Suffice it to say that this new model has divided the paleontological world and faced plenty of criticisms. It is hard to tell at this point if it will gain acceptance. For more fascinating facts about dinosaurs, check out 10 Things We Thought We Knew About Dinosaurs and Top 10 Recent Dinosaur Revelations.